Medi-spas don&apos;t have to be scary. Published Jan. 20, 2019 at 1:01 p.m.
Ah, aging is a beautiful thing they say. Well, I truly believe it is. But I also believe in doing what makes you feel good – and that includes things such as Botox, skin treatments, etc. 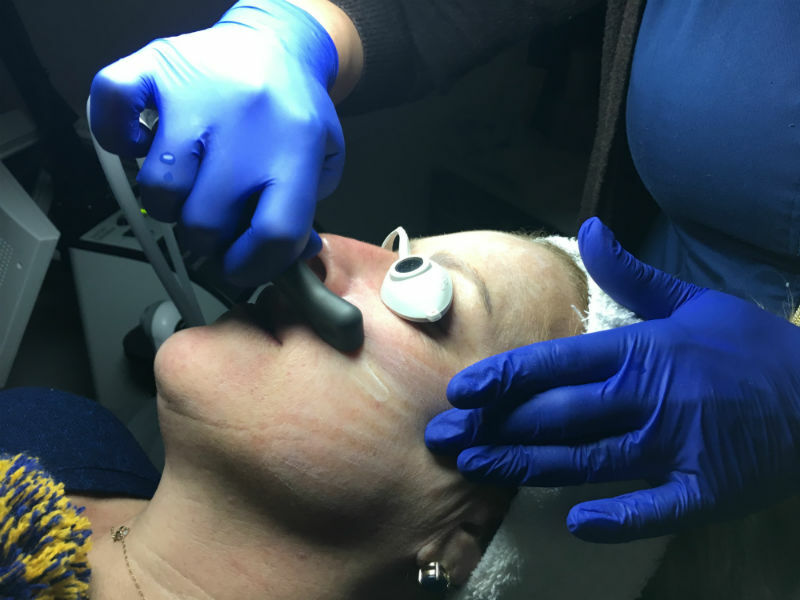 So, when I got the opportunity to work with Aesthetics 360 on a long-term treatment plan for my now 40-plus skin and body, I jumped at the chance. Medi-spas can be an intimidating place. And you really require a crap-ton of trust – this is your face and body after all. But Charlotte Fairburn and her team made me feel relaxed and welcome from the first moment I walked in the door of their relatively new medi-spa in the Historic Third Ward. Just because their location is new doesn't mean the team at Aesthetics 360 is. Most of the staff has been in the treatment and medical field for a decade or more. Plus, they have worked around a variety of offices and centers, allowing them exposure to a lot of different methods and practices. My initial consultation included photos. Ick. Honestly, I've never been an insecure girl – and damn, I generally look good! – but getting your true-age of skin is pretty nerve-wracking and exciting all at once. My results? I was old. Well, older than I am anyway. So … what can I do to help reverse or stop this deep-dive into aging? 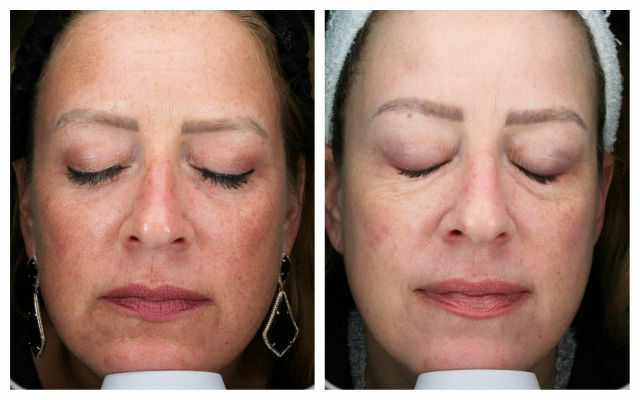 Curious about what happens during a skin care consultation at AESTHETICS 360°? Carolynn from @onmilwaukee was ‍♀️! Education and listening is at the core of every consult. SWIPE to the end to see Carolynn's TruSkin age  and watch our story to see which targeted  treatments can improve her areas of concern. While there are plenty of options to consider at A360, I really wanted to start this foray into medical-spa world with as light of a touch as possible. What did I do for the past few months that I felt made the largest difference in my skin? I've laid them out below. It really isn't a facial. But you really, really should get one. The salt facial is actually a treatment, and though you may think, "Oh, let's go get this amazing facial," you may want to know exactly what this buzz-worthy trend is first. The salt facial is really a three-part process that includes natural sea-salt skin exfoliation, followed by a deep penetrating ultrasound that delivers hydrating antioxidants and finally healing your skin with high-intensity LED light therapy. That's right, I did Botox. When I chatted with A360 about wanting to try it but wanting it to be natural, flattering and not at all fake looking, they listened. Honestly, I wish I'd done it earlier in life – you know, what they call preventative Botox (or baby Botox) now – but here I was. My goals were to help to get rid of my lines above my nose bridge and between my eyebrows, get a tiny lift in my forehead and help soften around my eyes. Botox isn't something you, or I, should take lightly. You need to find someone who has experience, is willing to really listen to what you want and then you need to be able to trust them with your face. A360 made me feel my concerns of the "fake" look were valid and they delivered. #WednesdayWisdom When your BOTOX  is at its full effect, usually around 2 weeks after being injected, we see patients back for a follow-up appointment. It's important to assess the outcome and how it harmonizes with adjacent areas, look for any facial asymmetries and refine your dose if needed. We want you to be over the  with your results! Carolynn from @onmilwaukee shows how quick & easy her visit was ! The thing with Botox that most don't realize is that even the best injector must also learn your face, your muscles, reactions etc. My Botox is working great – but you have to be careful of who you trust with your face. My base facial products have been the Rhonda Allison line from Lula Mae Aesthetic Boutique. I couldn't recommend these products more. But if you find yourself wanting a bit more for your skin, you should consider some medical-grade products as well. I incorporated a few strategic products from Aesthetic 360 to best treat the skin issues I feel insecure about. My favorite of all these products is actually from A360's own private label brand. I saw a huge response from my skin with the "Brighten & Renew Skin Pads" that are made in-house. Next I added a professional grade retinol product from Skinbetter called AlphaRet. This combination product is an alpha hydroxy acid (AHA) and a retinoid that leaves skin looking rejuvenated - which is just how it makes my skin look! Remember I mentioned we started my first consultation with those pictures that scared me so much? Well, at my most recent appointment, we ended with those as well. And my skin age dropped by MORE than a decade. A decade! And others can see it too. I didn't do anything drastic, over-the-top or blow-up my face with Botox. But what I've been doing with Aesthetics 360 has surely made a huge difference. And I'm going to keep it up! So, stay tuned. We had to ask: what is a medi-spa? Is poo being left in your yard?